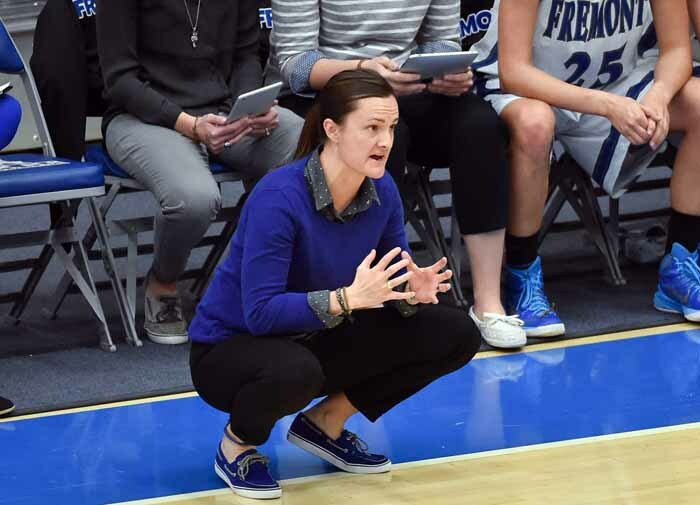 Our Week 23 2017-2018 girls team coach of the week is Lisa Dalebout of the Fremont High girls basketball team. Dalebout coached Fremont to the state’s first-ever Class 6A girls basketball championship, her second title with the Silver Wolves, who won the 5A championship in 2014. This year’s Fremont squad finished 23-2 and ran the table in Region 1 play with a 12-0 mark. There may be more hardware in Dalebout’s future as her Silver Wolves won this one behind the lead of state tournament MVP Emma Calvert, a 6-foot-3 freshman who averaged 16.5 points per game for the season. It wasn’t always pretty for Fremont at Salt Lake Community College during the state tourney, but Dalebout’s team was at its best in the biggest moments. After the Silver Wolves crushed Hunter in Round 1, it took a coast-to-coast drive and lay-up by Karlie Valdez to beat Riverton at the buzzer in the quarterfinal round in a game Fremont trailed by six at one point in the fourth period. Fremont needed overtime in the semifinals to knock off Westlake before pulling away late to beat Bingham 61-47 in the title game. The 3-point marksmanship of Abby Broadbent was big for the Silver Wolves, who also got significant contributions from Haylee Doxey and Mazzie Melaney to win the championship that makes Dalebout our Anython girls team Coach of the Week for the week of Feb. 26, 2018.